To solve school over subscription the concept of catchment areas for schools could abandoned in favour of nearest school by linear distance policy. County Highways are looking for efficiency in pot hole repairs. Current policy is to only fix higher risk deficiencies, so leaving many problems at some locations. The Council will now look to action more defects on a single visit. 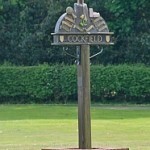 Various developments around the village have generated a further £18,424.13 of Parish Community Infrastructure Levy. The council will consider this and other anticipated CIL for future projects. With the release of County CIL funding the Bruffs Iine railway culvert can now be inspected by the structural engineer to establish level of any remedial works. The Parish Council would seek to make a further county CIL application to obtain funding if necessary. The council agreed with the deterioration in the weather the red telephone boxes would be repainted in the spring. Although in the short term they would be cleaned up. Cllr Brinkley and Cllr Turner continue to investigate relocation of the Howe Lane box to the Great Green. The defibrillation is on order for installation at the village hall. The package includes periods of training. This is to be publicised nearer the time of install. The play equipment has now received its annual safety inspection. The ROSPA report is awaited. However, the inspector only noted general maintenance items and no high risk urgent actions. Pavilion management was discussed, and the working group will meet prior to the next meeting to conclude hire agreement and operational matters. (Cllr Southgate has since confirmed the NICEIC electrical certificate was renewed in April 2017). Cllr Turner would investigate recent problems with the external lighting. Great Green had received a treatment of chalk for conditioning the soil. Further soil analysis indicates a fertiliser application is necessary to improve grass growth. This would be funded for the budget surplus for green maintenance/ Grass cutting. Arrangements for lighting the beacon and commemoration of the first world war event are finalised for 11th November. Cllr Morley continued to seek updates on the final design and progress to site of the Mackenzie development. Separate details will be published in Green Links and web site in due course. Discussions continue between Solicitors to conclude the purchase of the Glebe land. The parish Council were looking for clarity on a number of boundary and responsibility issues. Cllr Turner confirmed he had attended an informative course on Cemetery management and update on legal obligations. DC/18/03293 – Planning Application for extension to existing haulage yard and trailer wash facility. Loft Farm, Cross Green, Cockfield, Bury St Edmunds. IP30 0LJ. Planning Permission has been Granted. DC/18/03294 – Planning Application for erection of extension to existing office. Loft Farm, Cross Green, Cockfield, Bury St Edmunds. IP30 0LJ. Planning Permission has been Granted. DC/18/03805 – Non-material amendment to Application DC/17/04865. Amendment to windows in north west elevation and addition of brick detailing. DC/18/03667 – Discharge of Conditions: Application for DC/18/00474 Condition 6 (Archaeological Works). Land at Bury Road, Cross Green, Cockfield, Bury St Edmunds. IP30 0LG. Approved Condition.